As of now, CD One of Music Masters is complete. CD Two has officially begun! 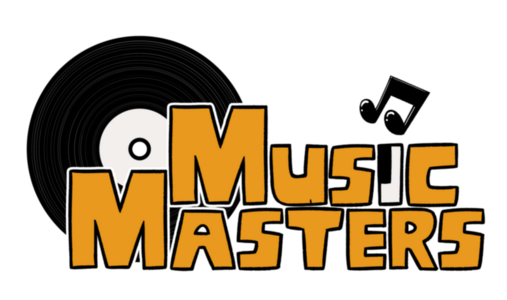 Music Masters updates every Friday. Be sure to vote for us on TopWebFiction! For a basic overview of the story’s setting, please see here. Our audio tale begins with the very first part of the very first arc, WHITE KNUCKLE RIDE. For the listing of all parts of the story in order, see the TABLE OF CONTENTS. For an idea of the characters in this story, please see AUDIO KNIGHTS for the main four and GUEST ARTWORK for everyone as whole. CAST serves as quick reference for those who have already finished CD One. Please be warned GUEST ARTWORK and CAST both contain spoilers. DISCLAIMER: Music Masters is a product of over nine years of brainstorming and work, and I feel it is pertinent that I point out the very musical nature of this story. The audio component of the numerous embed songs for when and where they appear as song effects or otherwise is essential to the story. I strongly recommend that you read Music Masters when you are easily able to listen to the accompanying music; I feel it is absolutely essential to the narrative and to the immersion to the story. I have tried my best to place the embed songs only when they appear for the first time or when they are important for the scene. I imagine that a loyal reader will recall song effects over time. Of course, there will be times when multiple songs play in a scene at the same time, and I leave it to the reader to prioritize what they prefer to listen to, and in this way, the story becomes something more personal. I truly hope that any prospective readers inevitably discover new music they might enjoy, in this narrative effort that is essentially a realization of all the musical influences that make up me. And as one final, further disclaimer: I of course own none of the songs, lyrics, song names or associated musical acts or artists that are mentioned or appear in the story. As a passion project of mine, I intend to keep this story as true to my vision as possible, so I’ll sacrifice making a cent off this in exchange. Thanks for listening, music fans!